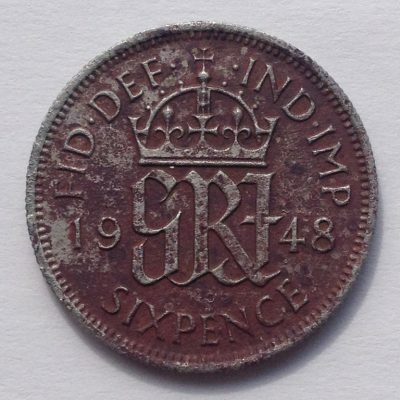 Found while weeding the front hedge, this coin, which is 10 years older than me and therefore has a picture of George VI on the other side, has remained stubbornly brown even though I did attempt to clean it up with a soda bath. Soda being the generic term Americans use for fizzy drinks like Coca Cola. I tried diet coke (it wasn’t fizzy), WD40 and Viakal. Perhaps I should have tried a scrubbing brush. I imagine some bright spark will suggest Brasso, Sodium Bicarbonate or strong brandy. I quite like it the way it is.